October 20, 2017 - Commissioner Stephen Wantz stopped by the 2017 Fall Job Fair at the Business Employment Resource Center (BERC) in Westminster, MD on Thursday, October 19, 2017. 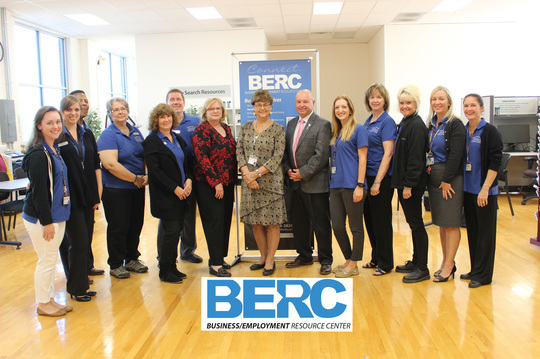 In Carroll County BERC serves as the workforce development arm of the Carroll County Department of Economic Development. They assist existing businesses and those moving to the area with strategies that meet employers’ workforce needs, including incumbent worker training, registered apprenticeship, transitional jobs, on-the-job training, and customized training. Another great service in Carroll County, MD. To watch the latest episode of Keeping It Real in Carroll County click here.